IN DEVELOPMENTAL hell for more than 10 years, the Deadpool movie is finally released. A cult favourite comic book anti-hero, this has been destined for the big screen since his inception, but with the success of Marvel's movies, aimed more at kids and young adults, it has been asked if there is a place for a comic book film targeted at the over 16s market alone? 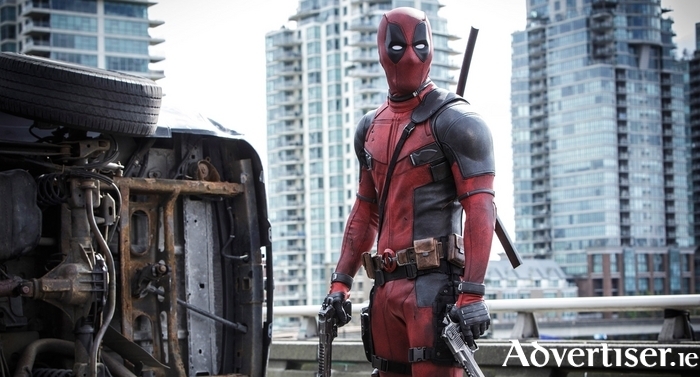 Deadpool has been championed by its star, Ryan Reynolds, since he signed on in 2004. He actually played Deadpool in the truly atrocious X-Men Origins: Wolverine (2009 ). It was right in the middle of the writers strike and is a hilariously bad misrepresentation of the character, it missed the mark by so much Fox pretty much scrapped the idea of a stand alone Deadpool movie. Several years later some test footage was leaked online and went viral. From that Fox decided to go ahead with a complete reboot (none of what happened in X-Men Origins: Wolverine is referenced here ). A much smaller budget and Ryan Reynolds apparently waving a large percentage of its fee got them the risqué script the creators and the fans wanted. Wade Wilson is an ex-special forces mercenary who finally meets the woman of his dreams. Things are going well until he is diagnosed with terminal cancer. A shady arms dealer cures him of cancer, but with the side-effect that his entire body is disfigured. He escapes being sold as a slave and makes it his goal to hunt down the people who disfigured him so they can cure him of his scars and he can go back to the woman he loves. So he moves in with an elderly blind woman named Al to begin tracking them down (seriously ). I was anticipating Deadpool to be really annoying. I seem to be the only person not charmed by Ryan Reynolds. I know people love his breakthrough movie Van Wilder: Party Liaison. But have you actually re-watched it lately? Show it to someone who has never seen it and tell them it’s one of the straight to DVD American Pie sequels and they wouldn’t question you. The words “Party Liaison” are so early noughties, just typing them gives me the urge to go check my Bebo. Having said all that, he’s actually pretty good here. Admittedly 90 per cent of the movie he has a mask covering his punchable face, so that helps, but in a movie that's insanely over the top, he’s surprisingly restrained. Reynolds is backed by a really fun cast. Firefly’s Morena Baccarin is effortlessly funny a perfect foil for Reynolds in the early scenes that really could have been a disaster. One of the finds of the year so far is Brianna Hildebrand who plays X-Man “Negsonic Teenage Warhead”. Looking like a young Sinead O'Connor she steals every scene she’s in. Along with them are MMA star Gina Carano and the always hilarious TJ Miller. It really is a fun cast and they do seem like they are having a great time making this. The funny jokes to unfunny jokes ratio is about 1:3 but when the jokes come as fast as they do here, that is pretty impressive. I laughed more in the opening 30 minutes than I did during the entire run time of Zoolander 2. I’m actually surprised how much I enjoyed this. It certainly isn’t for everyone, actually it isn’t even for most people. If you’ve seen the ads and think you’ll enjoy I’m sure you will.